What are the causes of increased thirst and urination? These clinical signs are non-specific and can be caused by many different diseases or conditions. Usually increased production of dilute urine results in a compensatory increase in water consumption, but occasionally the condition is one of increased water intake resulting in the production of large volumes of dilute urine. Conditions related to the urinary and reproductive systems including kidney failure, infections of the kidneys or bladder, and infections of the uterus. Endocrine or hormone related conditions including hyperadrenocorticism and hypoadrenocorticism, hyperthyroidism, diabetes mellitus and diabetes insipidus. Liver disease, certain drugs, fever, pain and certain electrolyte imbalances may also result in increased thirst and urination. Rarely, a behavioral problem is at the root of increased drinking behavior. This list is huge! How can we possibly determine what the cause is in my pet? Certain diseases are more common in certain species (dogs versus cats) so this may narrow down the range of possibilities. In addition, the specific history of the pet, including a list of all medications and supplements that your pet has recently received, is helpful. Your veterinarian will also have you measure the actual water consumption of your pet. This information, along with a physical examination, will often narrow the list further. "...a list of all medications and supplements that your pet has recently received, is helpful." A panel of screening tests will help exclude a large number of these conditions and may even provide a definitive diagnosis. The screening tests include a complete blood count (CBC), a serum biochemical profile, and a urinalysis. In middle aged to older cats a serum thyroxine (Total T4) concentration is also suggested. What can these tests indicate? In addition to providing information regarding the possible cause of your pet's symptoms, these screening tests may uncover other conditions that need to be addressed or treated. The CBC (complete blood count) requires a single blood sample and provides an evaluation of the red blood cell, the white blood cell, and platelet components of that sample. The total numbers of these cells are evaluated along with specific cellular characteristics. Typically, the most informative component of the CBC with respect to patients exhibiting increased thirst and urination is the white blood cell component. Inflammatory or infectious conditions will usually result in increases in white blood cell numbers. 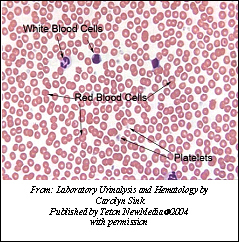 Hyperadrenocorticism (Cushing's disease) is commonly associated with increases in white blood cell numbers, while hypoadrenocorticism (Addison's disease) may result in increased proportions of certain white blood cells (lymphocytes and eosinophils). The red blood cell parameters may indicate the presence of variable degrees of anemia associated with the condition responsible for your pet's increased thirst and urination. 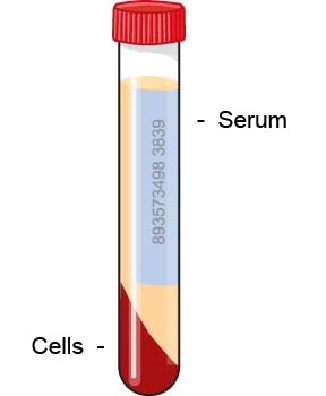 The serum biochemistry profile requires a separate blood sample, from which the serum (the liquid portion of blood) is separated from the cellular portion. Serum contains many substances including glucose, lipids (fats), proteins, and metabolic waste products. The use of a serum biochemistry profile allows us to measure these components of serum, and provides us with specific values for enzymes related to the liver, kidneys and pancreas, in addition to an evaluation of the electrolyte components of a serum sample. Changes and patterns of change within the serum biochemistry profile may show that a specific disease is responsible for your pet's clinical signs, whereas biochemistry results within the normal or reference range may make certain diseases highly unlikely. As an example, increases in BUN (blood urea nitrogen) and creatinine may indicate underlying kidney disease. Similarly, increases in blood glucose may be associated with diabetes mellitus whereas a normal blood glucose value makes diabetes unlikely. Occasionally, decreased biochemical values may suggest a specific underlying disease. For example, decreases in serum glucose, albumin and BUN may be associated with liver failure. "A urinalysis is essential for the proper interpretation of changes..."
A urinalysis is essential for the proper interpretation of changes that may be found on the serum biochemistry profile. These two screening tests should always accompany one another, and be taken at the same time. If, for example, the serum BUN and creatinine values are increased and the urinalysis indicates that the urine is very dilute, the pet likely has kidney disease. However, if the serum BUN and creatinine are increased and the urine is very concentrated, the problem may be dehydration. 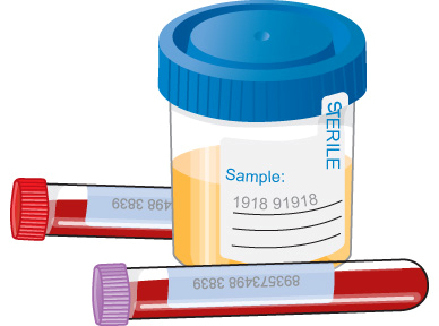 In addition, the urinalysis will alert us to the presence of red blood cells, white blood cells, glucose, protein, and bilirubin (a pigment associated with liver disease) within the urine sample. 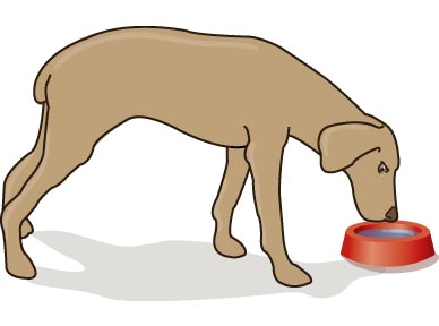 Again, increases in specific parameters may suggest an underlying cause for your pet's increased thirst and urination. The presence of red blood cells and white blood cells supports an inflammatory or infectious process. The presence of glucose in a urine sample, if accompanied by the finding of increased serum glucose values, is supportive of diabetes mellitus. Will further testing be required? That depends upon the results of the screening tests. It is impossible to predict what changes or conditions that we may uncover with the initial screening tests. However, in most instances this screening panel will provide either a specific diagnosis or a logical direction for further investigation. If the screening tests are suggestive of hypoadrenocorticism (Addison's disease) for example, then we will need to confirm the presence of this condition by further testing, specifically with an ACTH stimulation test. If decreased liver function is suspected, then further evaluation of liver function may be undertaken using serum bile acids or perhaps by imaging studies of the liver (ultrasound, radiographs). What happens if no abnormalities are found on the screening tests? Rarely, no abnormalities may be found with this screening panel, and the cause of your pet's increased water consumption and urination remains unknown. In this instance, we may need to perform a water deprivation test to evaluate the cause of your pet's increased thirst and urination. The water deprivation test essentially evaluates the ability of your pet's kidneys to concentrate urine when faced with a situation of water deprivation. It is only done after the screening tests have ruled out kidney disease. The basis of the water deprivation test is that, if a normal animal has reduced fluid intake, the kidneys should conserve water by concentrating urine. Your pet will be closely monitored during this period and his state of hydration and urinary concentrating ability are frequently evaluated. The test ends when your pet has become clinically dehydrated, or when he has concentrated his urine adequately (whichever occurs first). If your pet does not concentrate his urine during the period of water deprivation, he may be given ADH (antidiuretic hormone), a naturally occurring hormone that acts on the kidneys to cause the concentration of urine. How are the results of the water deprivation test interpreted? If your pet concentrates his urine during the period of water deprivation, and the other screening tests were normal, then his increased thirst and urination are likely related to behaviorally increased water consumption. If your pet fails to concentrate his urine during the test period, but does concentrate his urine when given the ADH, then the cause of your pet's increased thirst and urination is likely related to a condition called central diabetes insipidus. This condition is due to failure of part of the brain to produce ADH hormone. Diabetes insipidus is completely different than diabetes mellitus (the term 'mellitus' refers to the sweetness of the urine in sugar diabetes, while the term 'insipidus' refers to the weak or dilute urine produced in ADH-related diabetes). 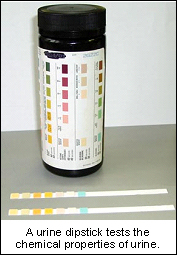 If your pet fails to concentrate urine during this test, and also fails to concentrate his urine in response to ADH, then the cause of your pet's increased thirst and urination may be related to either a condition called nephrogenic diabetes insipidus (nephrogenic means originating in the kidneys), or another condition that interferes with the kidney's internal concentration gradient. With these conditions, the kidneys are unable to respond appropriately to ADH.